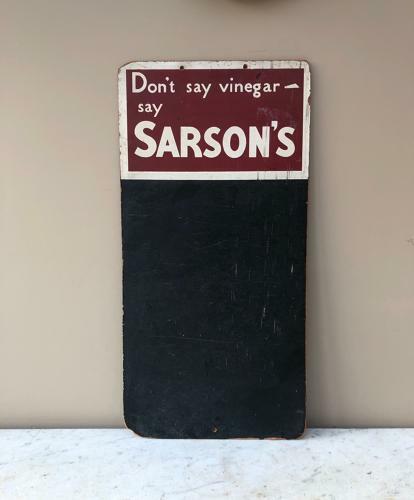 1940/50s Advertising Blackboard - Memo Board for Sarsons Vinegar. "Don't say vinegar - say SARSON'S"
Perfect in a kitchen/cafe/restaurant/public house etc. Original holes to wall hang.